The York Revolution revealed today another major addition to their infield, announcing that former Mariner and Dodger Carlos Triunfel joined the team for the start of its seven-game road trip. The 27-year-old Triunfel was originally signed as a non-drafted free agent by the Seattle Mariners in 2006. He began his career the following season with Single-A Wisconsin and was named a mid-season Midwest League all-star, batting .309 on the season. Triunfel was also named a mid-season all-star with West Tennessee of the Southern League in 2010, as he quickly ascended through the Mariners system. Triunfel made his major league debut September 7, 2012, against the Oakland A’s and a week later collected his first MLB hit, a double off of Blue Jays reliever Aaron Loup. Triunfel split the 2013 and 2014 seasons between Triple-A and the big leagues; playing for the Mariners in 2013 and for the Los Angeles Dodgers in 2014 after they claimed him off of waivers before the start of the season. Over the course of his three seasons at the major league level, Triunfel totaled 81 at-bats, with 13 hits, including a home run, which came off of Tommy Kahnle of the Rockies. The Santiago, Dominican Republic native played in Triple-A the last two seasons—2015 in San Francisco and 2016 with Cincinnati. He began the 2017 season playing in the Mexican League for Olmecas de Tabasco before signing with the Revs. In his minor league career, Triunfel owns a .271 average, 49 home runs, and 389 RBI, tallying exactly 1,000 hits in 996 games. The Revolution begin a three-game series tonight in Long Island against the Ducks before traveling for a four-game series against the Sugar Land Skeeters. The Revs return to PeoplesBank Park on May 22 for a 10-game homestand featuring the New Britain Bees, Sugar Land Skeeters, and Southern Maryland Blue Crabs. The York Revolution have announced that they have re-signed right handed relief pitcher Manny Corpas. The thirty-year-old enters his fifteenth professional season, and his second season in York. Last season he made 34 appearances for the Revs, posting a 3-1 record and ranked fourth on the team with a 2.73 ERA, striking out 27 batters over 33 innings. A native of Panama City, Panama, Corpas was originally signed as an amateur free agent in 1999 by the Colorado Rockies at age 16, and played his first professional season in 2002. He worked his way up through the Rockies system, breaking into the big leagues on July 18, 2006 in a game against the Pirates. He made 35 appearances that season, and enjoyed even more success the following season, posting a 2.08 ERA in 2007. After the 2007 All-Star break, Corpas was named the club’s closer, earning a career-high 19 saves, and pitching in the 2007 postseason. A crucial part of Colorado’s playoff run, Corpas saved all three games of the NLDS against Philadelphia and two in the NLCS against Arizona, including the National League pennant clincher. The Rockies won 21 of 22 games on the way to a World Series appearance, with Corpas saving 10 of them. Corpas pitched in the big leagues until 2013, posting a 13-20 MLB record, and a 4.14 ERA, and earning 34 saves. He has since pitched in Triple-A for Colorado in 2013 and 2014, before spending 2015 in the Mexican league, and then joining York last season. The York Revolution announced today that they have signed catcher Luis Cruz. The 23-year-old is in his seventh professional season, originally signed as an undrafted free agent by the St. Louis Cardinals in 2011. A native of Cotui, Dominican Republic, Cruz has spent his entire career with the Cardinals, beginning in the Dominican Summer League, and has making it as high as Triple-A Memphis, last season. This year he played nine games for Double-A Springfield, batting .250 with 2 doubles, and 3 RBI. In addition to playing behind the plate, Cruz has served as a first baseman and designated hitter in his career, and has also made four appearances on the mound. He has thrown out 34% of baserunners in his career, while posting a fielding percentage of .980. 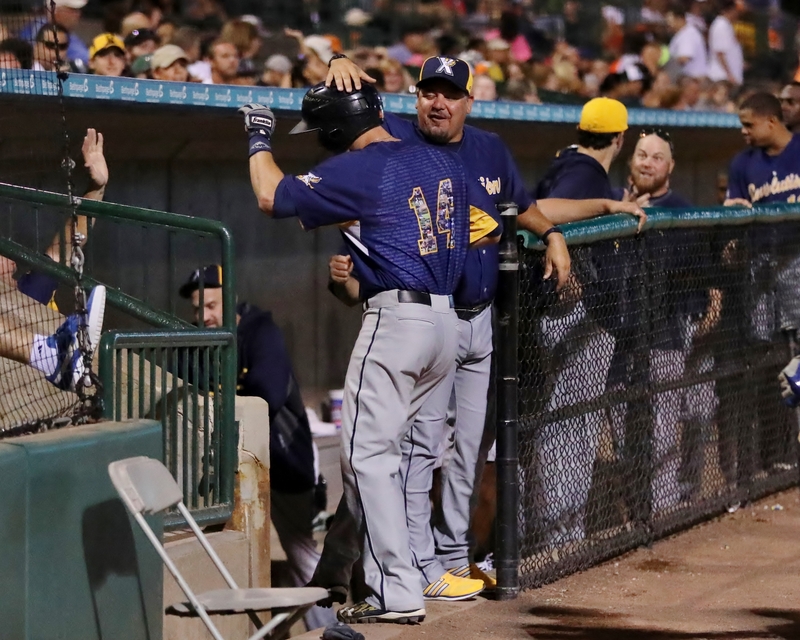 The move will provide additional versatility for manager Mark Mason, who now has three viable options behind the plate, in Cruz, Tejeda, and Alen. Furthermore, all three York catchers can also play in the field, and by having an additional backstop, it will allow Mason to play two of his catchers in the field at the same time, while the third catcher that night is free to warm up pitchers in the bullpen.